Effective warping and stitching of the images produced by the camera system’s six sensors is achieved through accurate calibration of the physical location and orientation of the sensors and the distortion model of the lens. Ladybug SDK provides a simple mechanism to produce Adobe Flash movies from the video you captured with Ladybug cameras. There are two types of viewers – spherical and panoramic. 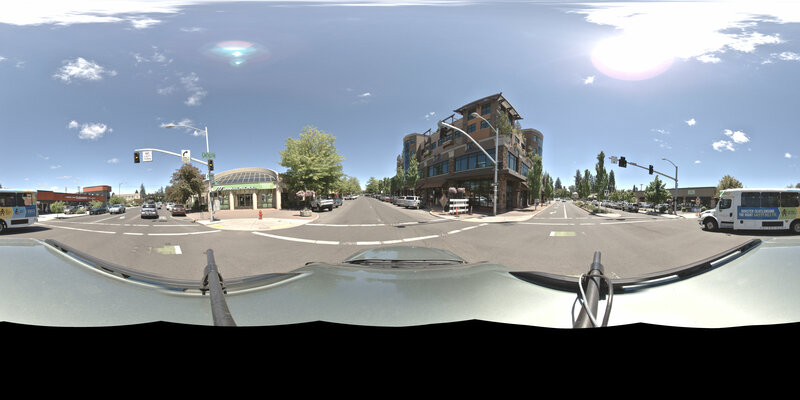 Panoramic viewer gives you the full field of view of the camera while spherical viewer gives you pan, tilt and zoom control to display the partial image you want to see. This video demonstrates the software stabilization for spherical footage.